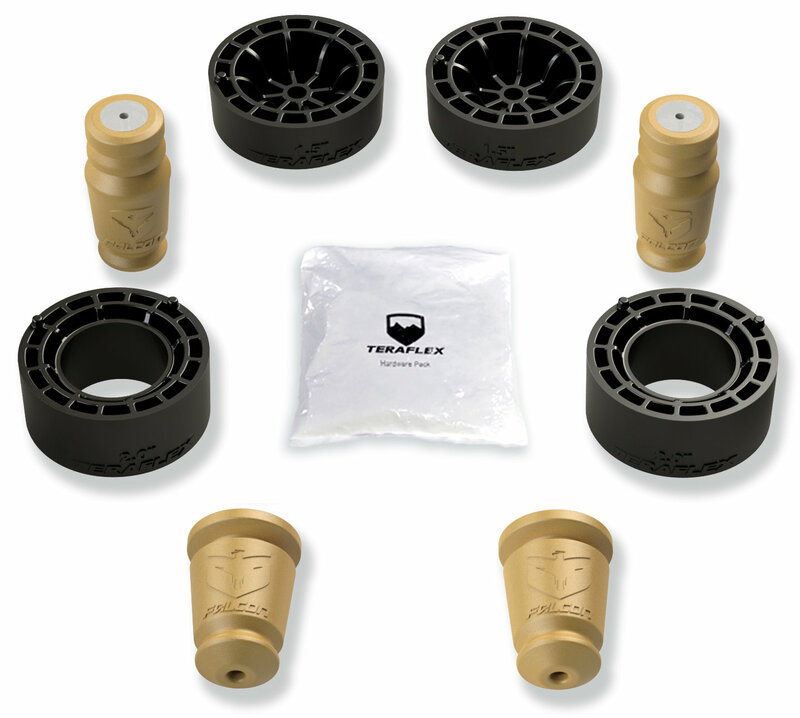 Leveling Kit: To eliminate the factory rake, Teraflex includes 2” front spacers and 1.5” rear spacers. This will give your Jeep an overall 1.5” lift while improving its stance. ST Performance: The “ST” in “ST1 1.5-inch Suspension Lift” stands for Street and Trail. Teraflex designed this lift kit to be equally at home on and off road. Easy Install: No cutting, drilling, or welding is required for this 100% bolt on kit. Also, you will not need to get an alignment after installing the Sport ST1 lift. Vehicle Specific Design: Teraflex engineered this kit specifically for the Jeep Wrangler Unlimited JL 4-Door. By separating two and four door kits, Teraflex does not need to make compromises that can affect performance and handling.